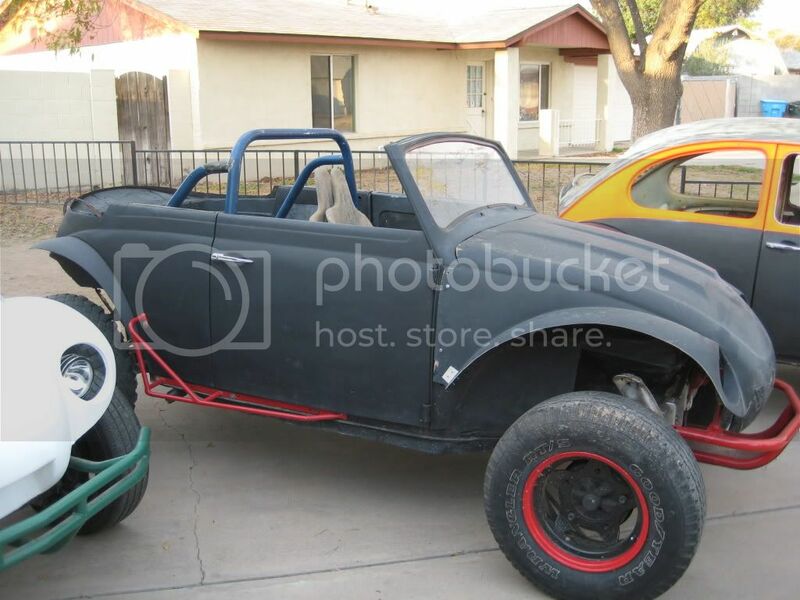 AzBaja.com, Home of the VW Baja Bug -:- Baja Forums -:- AzBaja.com Members -:- Projects and Builds -:- Counterclockwise! Baja Forums -:- AzBaja.com Members -:- Projects and Builds -:- Counterclockwise! Pics posted in the garage of what it looks like right now, still tons of work to do. Got a case last night to build my motor, where is the best, resonable, place to get machine work done? Well the case turned out to be junk so Im on the prowl for another now. Did you check CL for cases? Found a few real quick. May be worth looking? Not sure. Yeah Ive seen those. The one with no price wants $50. I am going to look at it hopefully this weekend. Cool. Good luck. I figured you had seen them, but thought it couldn't hurt to check! By the way, how did the west side get together go on the 17th? Sorry I wasn't able to make it. Had to cancell remember? Looking in Feb for a new date. Thats right... Sorry to bring it back up. February would probably be good for me except for the 22nd. I will be out of town that weekend. Even though this project has been on hold, I replaced the 1 piece yesterday. # in one spot...any more pictures? See thread about projects at my house. Wow its been a while since I updated this, for the last 2 years my poor baja has been just sitting there collecting rust. Even had to cut out the lower driverside quarter panel due to rust. Hope to get back to work on it next month. I will post updates and pics as I go. I've renamed it "Counterclockwise" cause it seems to be going Backwards! 11 years and counting it hasnt moved under its own power. Took a small step forward today, moved it into the garage and started stripping things off it to start the body & paint work.